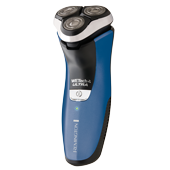 WETech Close Shave is rated 4.8 out of 5 by 10. 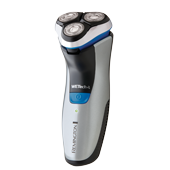 Remington’s WETech Close Shave features NEW Lift Logic Japanese blades to capture, lift and cut hair closer than before*. 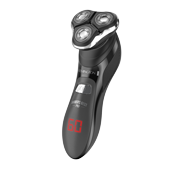 Engineered for wet or dry use, the WETech Close Shave combines revolutionary Hyper Flex Technology and Comfort Float Heads to effortlessly adjust to facial contours whilst protecting your skin from nicks and cuts for a comfortable, close shave. Rated 5 out of 5 by MikeDW from Electric Razor Has been great. 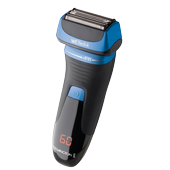 Shaves well and charges quickly. Like the battery charge indicator feature. 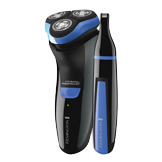 Rated 5 out of 5 by wayne349 from WETech Close Shave Review Been using another brand for years but it was getting on so i decided to try this Remington WEtech at the price point with similar features but this also included a charge dock which some of the others didn't at that price point, i also wanted the rear pop up trimmer not the separate swap over type that's seems to have become the norm on new models, shaves just as close as my other shaver so I'm very happy so far after around 2 months of daily use. Rated 5 out of 5 by Jessie from Smooth Shave Awesome shaver, really smooth and an absolute close shave. Charging time is excellent and holds the charge really well. I love the stand and can easily grab and shave at any time. I have had two Remington xr1550au WETech shavers bought from the Cairns Target (1 swapped over) and both have done same thing. Works well then stops. Only way get going is to recharge it. Is this a faulty batch or am I doing something wrong?